In Woodpecker there are two options for including an image - you can add it to your copy in the campaign or to your signature. If you want to include an image, you need to provide a link to it. Therefore, the image must be uploaded to a server or hosting service, and there must be a static link to it. Usually, there is no problem with uploading the image to the same server which hosts your website. Please remember, that you will not be able to add a photo that is uploaded to Google Drive or Dropbox. Q: How to upload an image to the hosting service? A: You need to add the image to the shared hosting websites with pictures. It will be totally free for you. A hosting service which works well in most of the cases is Imageshack.us. You can also find plenty of other hosting services but sometimes they provide links that do not work so be careful. 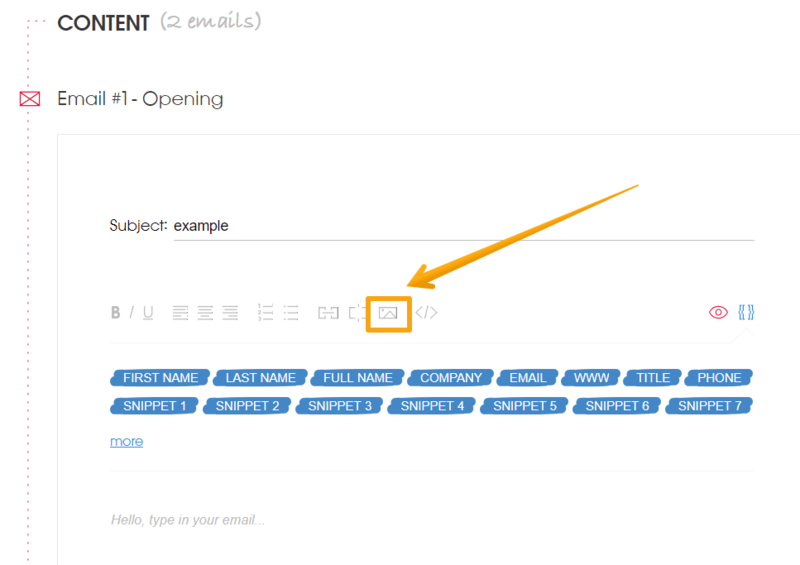 Q: How to add an image to my email copy? A: Once you have the link, you can click the 'IMG' button and paste that link into the dialogue box. Q: Can I change the image size? 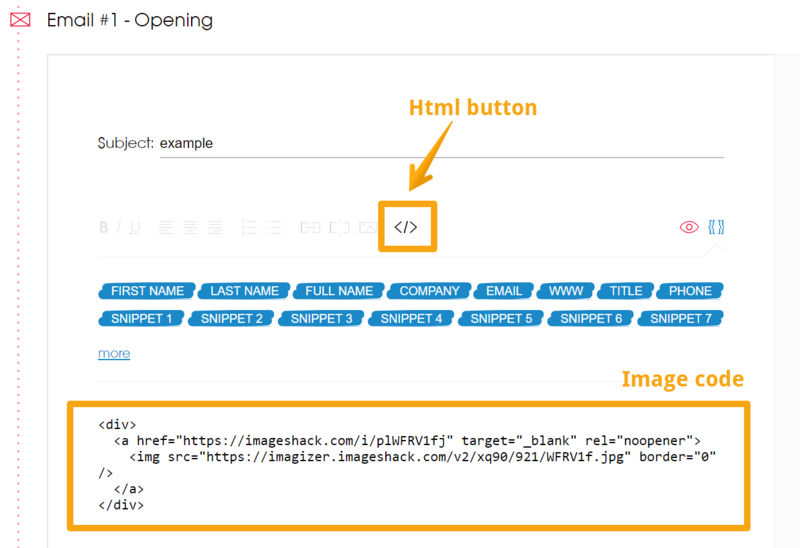 A: You can change the image size manually or define it in the HTML code. The second option is more complicated, however, works better and helps to know the exact size of an image. 2. Type: with = and height= and provide the numbers that will define the image size. The numbers should be typed in the quotation marks, after the ending .jpg"
Q: How can I make the image responsive? A: People are opening their email inboxes on various devices. When you are adding an image to your copy, you need to be sure that it will be shown properly on every kind of device - computer, mobile or tablet. To avoid the situation when the image is too big or to small for a given screen, it is good to make the image responsive. You need to add this part to the HTML code: width=”100%” (underlined in the screenshot below).